In addition to providing professional development for teachers, I also assess and tutor children, both in person and virtually using Skype or FaceTime. My expertise is reading comprehension and vocabulary. 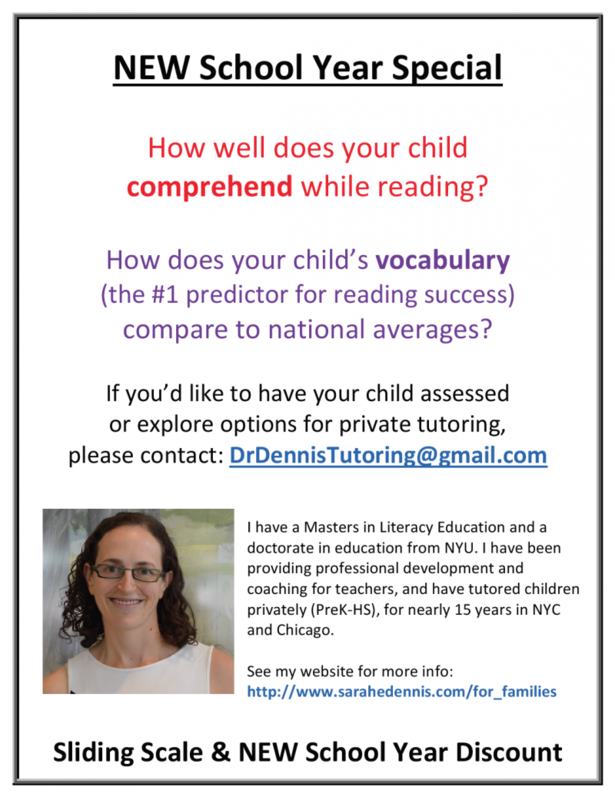 I can assess your child's vocabulary, reading comprehension, and affect towards reading, and provide you with information for ways you can support your child's reading and language development. Alternately, I can tutor your child regularly, and assess in ongoing ways to measure our progress and growth. 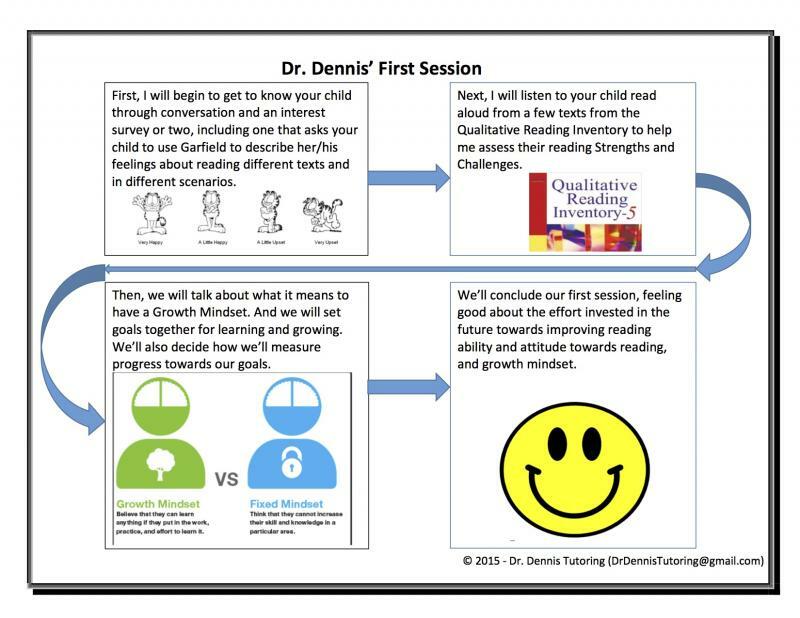 With a bachelors in early childhood/elementary education, a Masters in Literacy, and a doctorate in Education, I have spent nearly 15 years teaching educators how to teach children to read. During many of those years I have also tutored children one-on-one, children from first grade-eighth grade. I can come to your home, meet at a library or other public place, or you can travel to my home (near Irving Park and Pulaski). I can also provide assessment and tutoring virtually. "As a family who just started working with Sarah, we have nothing but praise regarding our first few sessions with our daughter. She is entering fifth grade. Sarah really took time to get to know our daughter first. The rest has flowed and she has been able to target some new areas to pursue and also enhance and develop existing skills. She creates a comfortable vibe and relates easily. My daughter looks forward to meeting and is putting these efforts to practice already. Reading is a foundation to so much more than just reading class in school. It will help as our daughter takes on additional subjects each year, with new textbooks in school and with pesky word problems in math!! We really like Sarah's approach and highly recommend her services!!!!!"